A versatile pianist, Mina Gajić started her music career and education in Yugoslavia. She has concertized in Italy, France, the Czech Republic, Serbia, Montenegro, China, Bolivia, and in the United States. Recent solo appearances include the National Symphony Orchestra of Bolivia, the Symphony Orchestra Stanislav Binički, Serbia, and Boulder Chamber Orchestra. She has performed recitals internationally as soloist and with violinist Zachary Carrettin, focusing on a diverse repertory spanning the centuries and various styles on historic period pianos in addition to modern concert instruments. Ms. Gajić has performed as soloist at the Amalfi Coast Music Festival, Prague Piano Festival and the Boulder Bach Festival, Colorado. Her awards include first prize at the International Competition Cittá di Stresa, Italy; third prize at the Nikolai Rubinstein Competition in Paris; first prize at the Competition of the Federal Republic of Yugoslavia and the Republic Competition of Serbia for five consecutive years; first prize at the Stanković Competition in Belgrade with special distinction for collaborative artistry, as well as semi-finalist at the Shanghai International Piano Competition. Ms. Gajić holds degrees from the Academy of Fine Arts in Belgrade, University of Illinois at Urbana-Champaign, and Shepherd School of Music at Rice University, where she was awarded the prestigious Charles Ross fellowship, and was a winner of the Carl and Lillian Illig Scholarship, and the Diane Sacks Prize. Ms. Gajić has held teaching positions at Sam Houston State University School of Music, the University of St. Thomas Music Preparatory School, and Rocky Ridge Music Center Summer Academy. Mina Gajić records and performs on an immaculate Érard concert grand, built in Paris in the year 1895. Her historic piano is one of few instruments to have been preserved in such a state that nearly every part is original, including the strings in the low register. Mina has developed a reputation for coaxing special tonal colors, “making the piano sound as a bassoon, a guitar, drums”, in solo, concerto, and chamber music repertoire.  Ms. Gajić is the founder and Artistic Director of Boulder International Chamber Music Competition.